Finding chic, sophisticated good looking jeans for work is a very important thing for anyone who can actually wear jeans to work. Even if it is simply for a special occasion at work, having a great-looking pair of jeans to wear is just what you need. Faded, old or worn jeans simply won’t cut it for wearing to work. You need to have ones that are in style and in great shape. When you are getting dressed for work with your chic jeans on, be sure to pair them with other fashion items such as blouses, blazers, dressy tops, high heels, a smart belt, jewelry and more. This will help you pull together a great sophisticated look that will give the image that you are all business even in a “casual” clothing item like jeans. One of the most important things to do in order to keep your jeans looking chic enough for work is to press them. Pressed jeans always look a lot better than ones that are not. Finding chic jeans also means finding jeans that fit properly. By shopping in a store that specializes in jeans or one that has an extensive selection of jeans, you will have a much better chance of finding the perfect jeans for you. They should carry jeans in a variety of cuts, lengths and for different body types. If you are full-figured or curvy you will need a different shape pair of jeans than someone who is apple-shaped or has a boyish figure. Try on many jeans to make sure they will fit properly and look their best. If you are looking for chic jeans for work, it means that you need to shop for a nice looking pair of jeans. You cannot head to a consignment shop or second hand store, unless you are getting something with tags still attached. You really need to hit a boutique or department store to see exactly what is in for the season in denim. Opting for an outdated pair of jeans will also not result in a chic look. Get the in-style jeans so you look your absolute best. 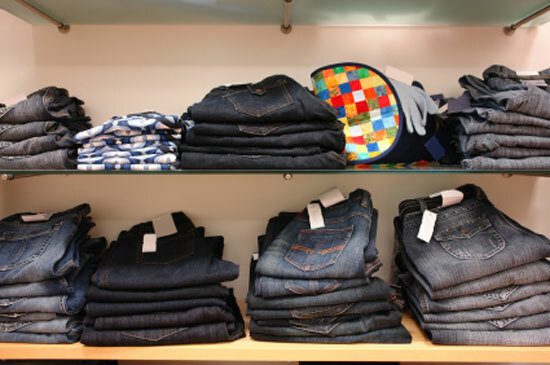 Some places that carry great jeans include Denim Express, Barneys, Levis, and Macys. Each of these stores offer something different including different brands and a variety large enough to handle even specialty sizing. Take pride in your nice jeans. Be sure to wear them well and you will get such a great amount of joy at wearing them at work that you’ll want to do it every day. It feels like you’re doing something you shouldn’t even though you are allowed. Get shopping today for your chic jeans for work and before you know it, you’ll be wishing that every day were jeans day in the office. There is nothing quite like getting ready for work and knowing that you will get to spend your day in comfort like only jeans can give you. Get your classy pair of jeans today. ← Should I Wear A V-Neck OR Crew Neck Undershirt?